Taking a break from the favorites of last year, the amount of new videos coming out have been piling up and I thought they deserved some attention. I think this is going to be a big year for video, even bigger than last year and I imagine this kind of thing will appear more often here. I tend to ignore videos, because I am more about the music, but if it’s a way to get peoples attention and tune into some great local artists, well, then all the better. 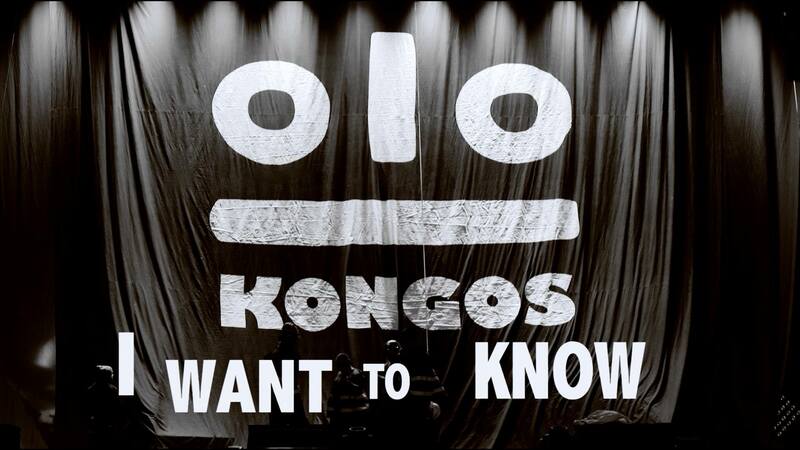 After living with this album for three years, “I Want To Know” is easily my favorite song on it. Maybe it’s the pounding tribal drums that introduce it, the intoxicating reggae influenced rhythms, the mesmerizing harmonies, the laid back cool of the song itself, the challenge in the lyrics—hell, I don’t even know. It simply makes me feel good and the underlying philosophy of simply seeking knowledge, the need to know, the desire to get to the bottom of things in all aspects of life certainly helps things along. Musically, it’s brilliant—as reggae influenced as it is synth heavy, a great guitar solo (that is something I almost never say), followed immediately by an unexpected synth solo and finishing with a nearly bizarre vocoder ending. To sum it up, it’s bliss in a nicely, tightly wrapped package for your ears. Lyrically, it’s just as brilliant every bit of the way and beyond. From the opening challenge of “Will you take a stand, will you raise your hand, for your brother’s sake…” to the amazing finale of “Living under pretense, always on the defense, always on the fence, tell me, what’s it gonna’ be?” In conversation with Jesse Kongos he mentioned how much people loved it for its sheer simplicity—and maybe that’s it, maybe it’s just a great, catchy, reggae heavy sing-a-long song that captures the spirit of the band. The video is a great tour video as they play in front of thousands of people. Weird to think when I first saw them it was in front of thirty at the Sail Inn. If you are unsure of who Motobunny are, imagine a supergroup between members of The Love Me Nots and The Woolly Bandits. What they are also a non-stop garage rock attack with two female lead singers (lead at the same time in unison)fronting this guitar driven apocalypse. The lead singers are Violet Moto AKA Nicole Laurenne of the Love Me Nots and RoXy Moto AKA Christa Collins of The Woolly Bandits, with guitar thrashing courtesy of Death Ray Moto AKA Michael Johnny Walker and bass thumping from Bronto Moto AKA Rik Collins of The Woolly Bandits/The Seeds. 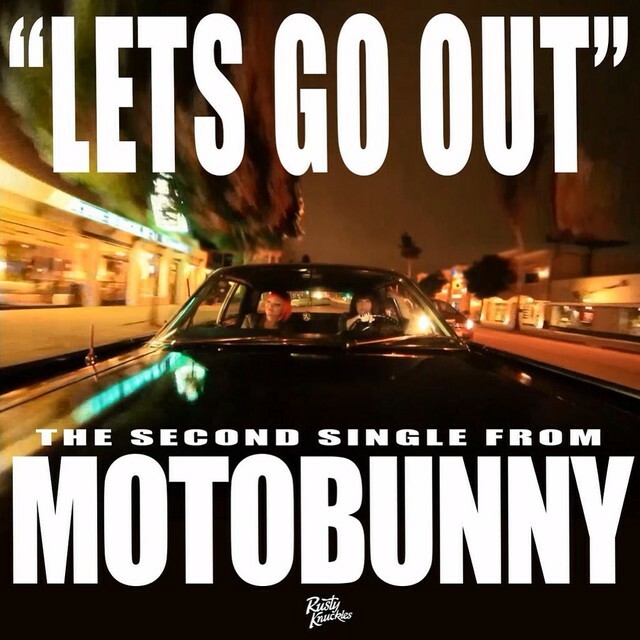 “Let’s Go Out is the obvious choice for a single and if “Motobunny” had not been their theme song, this would have been the obvious choice to be the first. The entire album is fantastic, but amidst the sea of singles this one does indeed rise to the top. The video is a fairly humorous romp as Violet and RoXy cruise LA at night, while Death Ray (Michael Johnny Walker in a bunny suit) and Bronto cruise the town on foot. While the gals seem to be having fun in the car, the boys don’t seem to be having a great time of it. The funniest thing of all is the bunny suit, which has a t-shirt on which on the front says, “This Is Stupid” and the back says, “Why Am I Here.” It’s a fun time and a great song. While much of the video was shot on June 21st at The Rogue Bar, it didn’t come out until this month. “John Wayne” is one of the best songs from Field Tripp’s first EP of 2014 Les Is Mormon, and if not one of the best, it’s certainly one of the most entertaining. The funniest thing I always thought about this song was that even John Wayne’s real name wasn’t John Wayne, it was Marion Morrison. 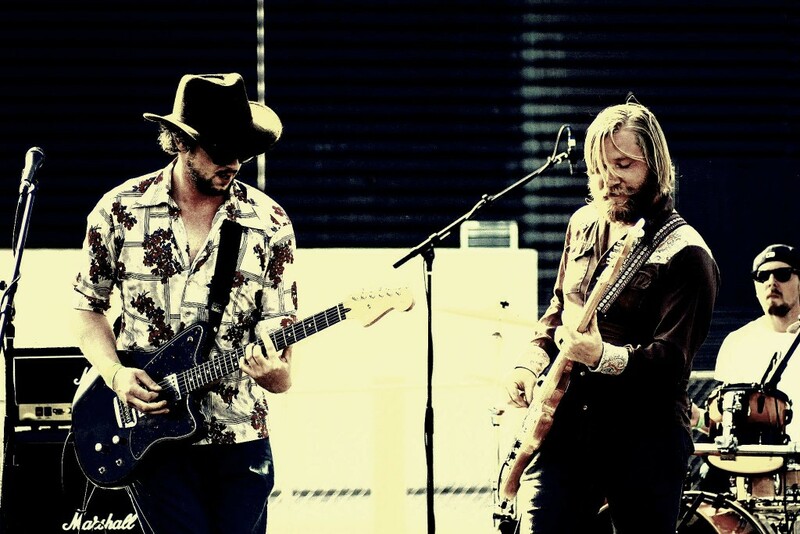 The video itself is a riot that’s like a late 60s psychedelic cowboy movie only barely set in modern times, starring mainly Dan Tripp and Christine Arp. You may notice quite a few local musicians throughout the video including Jonathan Messenger, David Cooper, Amber Benson, Andy Warpigs, Joel Ekdahl and Tim Hardy, and probably a few more I didn’t catch. It’s wonderfully directed and produced and I truly hope that Field Tripp intends to put a few more videos out for all that they released in 2014. 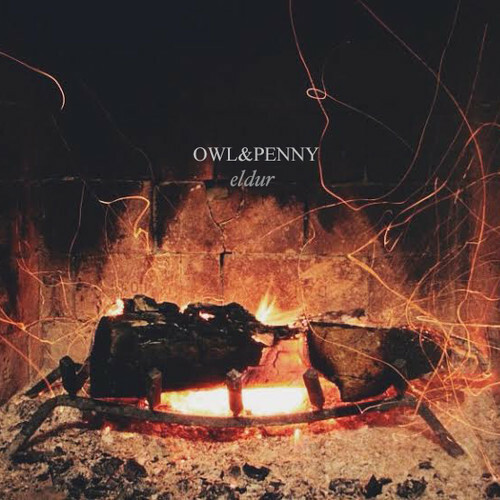 One of the most beautiful recordings to be released in this young year is without a doubt Owl & Penny’s Eldur EP. The first song/single/video to be released from this amazing little EP is the finale to the whole affair “Wild Woods” and with it comes a very trippy video that underscores the ethereal transcendence of their songs. As dreamy as their songs are, the video is even more so and it reinforces my notion that taking all their recordings to a cabin in the middle of nowhere for a weekend and listening to them on repeat would be a capital idea. Chris Heck did an amazing job of visually characterizing Ryan Osterman’s aural vision. Their amazingly hypnotic pop balladry feels somehow more beautiful, more haunting, and more mesmerizing on the new EP. In truth though, this just makes me long for a another full length album that I can get completely lost in. Nevertheless, I’ll take beauty where I can get it and it’s right here, right now. 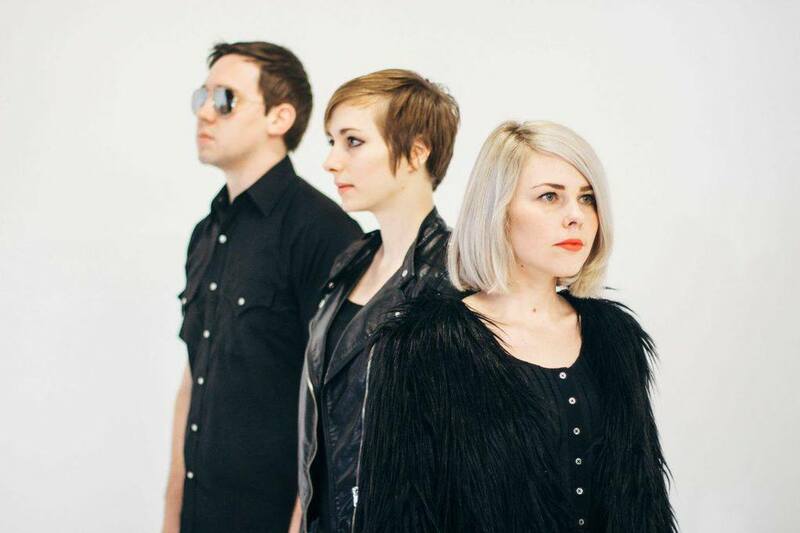 MRCH (pronounced March, I was informed this evening) is a brand new pop outfit, which is a side project for Mickey and Jesse Pangburn and Erin Beal from The Prowling Kind. Now, I have been a fan of The Prowling Kind from the start (I think I was at their first show) and they have continually impressed me with their brand of indie rock. Tonight at Crescent Ballroom was no exception, it had been too long since I saw them and they bring me a lot of joy. That in mind, I was surprised when Jesse contacted me about their new side project called MRCH. Hell, I was even apprehensive, but I watched the lyric video below and realized I had nothing to worry about. These kids can pull off electronic pop as well as they can rock’n'roll. There never should have been any doubt in my mind. Also, it’s catchy as all hell, I was able to sing the entire song to myself the day after I first heard it because of this factor. Mickey’s vocals on the chorus are just to die for and the message of the entire song is pretty great. And as far as lyric videos go, this is a stunner. I cannot wait to see what MRCH produces this year in tandem with what The Prowling Kind are up to. This is going to be good.